But this has been met with already by the Lord’s statement in the next verse : He has one-pointed devotion (*eka-bhaktiH*). The Lord caps this by the further statement *JnAni-tvAtmaiva me mataM* (JnAni and Myself are One – that is my final opinion). 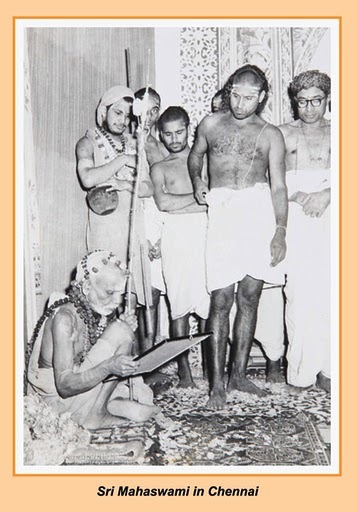 Later when he dwells on ‘bhakti-yoga’ itself and teaches the upAsanA (dualistic saguNa upAsanA) he only uses the words *atIva priyaH* (XII – 14 – 20) (most dear to Me), he never says “he is Myself”; from this it is clear (when he talks about this JnAni here) he refers only to the advaita-JnAni. In the teaching of bhakti-yoga he says: “The nirguNa-SAdhanA gives difficulties (klesha) and dukha (unhappiness) for those who are conscious of their body” and then goes on to teach the saguNa-upAsanA. In other words, for those who are too conscious of their body, the jnAna path is not easy to attain and that is why he teaches the saguNa upAsanA to them; not with the idea that the saguNa upAsanA is superior to the jnAna path. Let that be. Later when he starts talking about the qualities of the Bhakti upAsaka from the shloka *adveshhTA sarva-bhUtAnAM …* (The one who has no hate towards any being ,,,,) through seven or eight shlokas and winds up the chapter with “Such people are dearest to me”, it will be clear to any neutral observer that whatever qualities he has described here apply only to a JnAni.